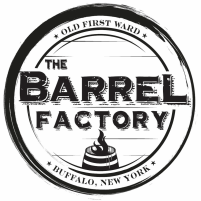 The Barrel Factory was built in 1903 in the Old First Ward of Buffalo, NY, near the legendary Buffalo River. 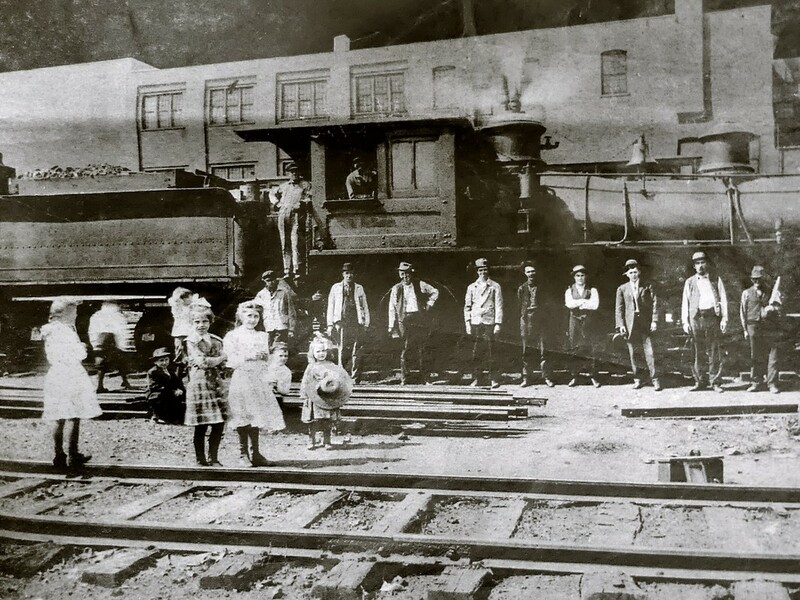 Bordered by Hamburg, Republic (formerly Tecumseh), & Vandalia Streets, the huge, multi-level brick structure was home for many decades to Quaker City Cooperage Co., manufacturers of wooden barrels, and later to several other local businesses. ​The old advertisements above appeared in the National Cooper's Journal in 1905 and 1908. Local historians say this is a shot of the building circa 1905. 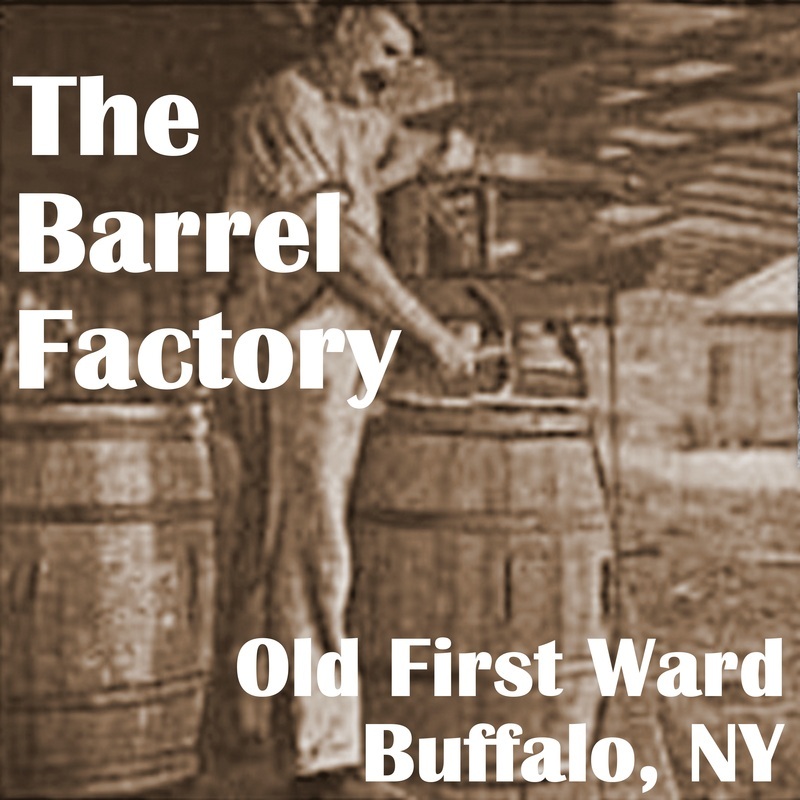 Known as "The Barrel Factory" to Old First Ward locals, the City of Buffalo granted private railroad rights along Tecumseh St. to Quaker City Cooperage Co. in 1903, with the Erie Railroad connecting to the company tracks. 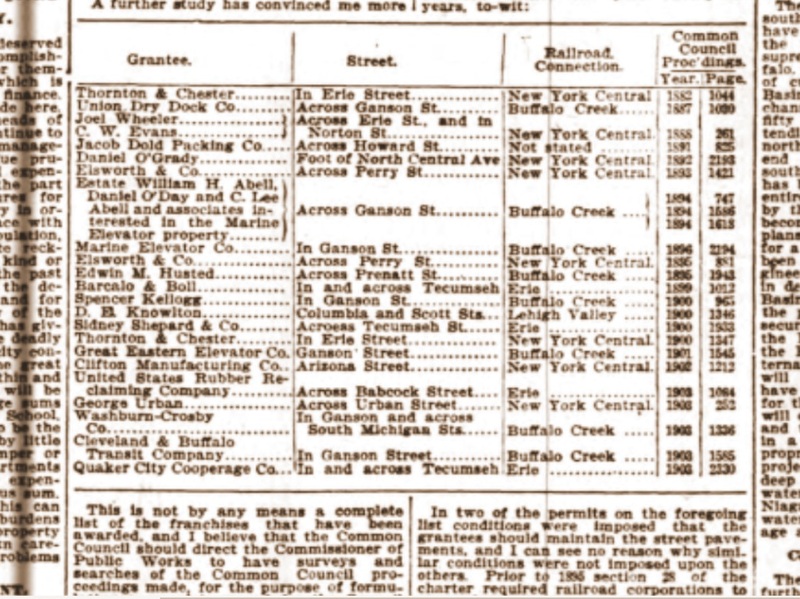 The newspaper clipping below lists this railroad grant, and is from the Buffalo, NY Courier​​ in 1904. You can also download the entire 2-page newspaper spread further below! See last entry in 1904 newspaper clipping! 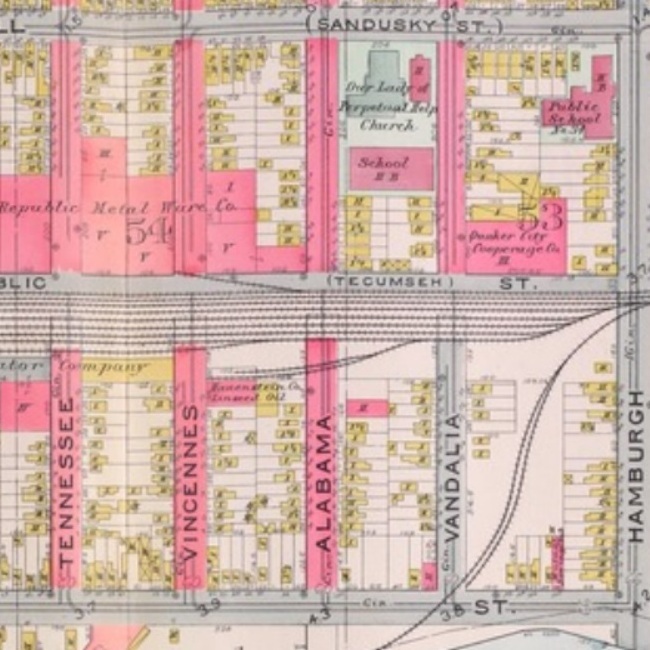 Section of 1915 map showing Quaker City Cooperage Co. at Republic (formerly Tecumseh) St. & Vandalia St. in Buffalo. 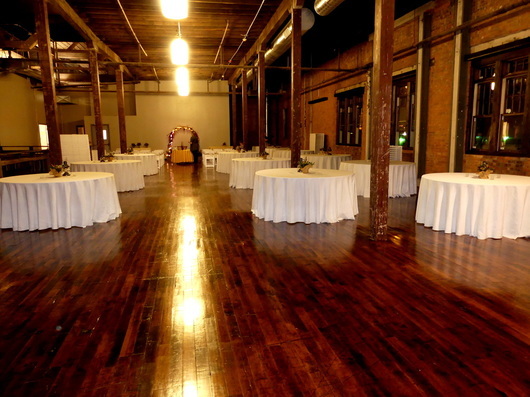 ​The 115-year-old factory's red bricks were made onsite during the building's construction at its Old First Ward location near the historic Buffalo River and its signature grain elevators. ​The company manufactured for many decades wooden slack barrels for grain, malt, flour, fruit, and other commodities. At its height, a whopping 4,000-6,000 barrels a day were made there. Wooden barrels were the cardboard boxes, plastic bags, & shipping containers of this period. Indicative of the Buffalo area's strong Great Lakes maritime, transportation, and industrial heritage, grain and other bulk materials were shipped from the mid-west via the Great Lakes to Buffalo where quite often these were put into barrels, and then frequently shipped further east via the Erie Canal, and later also the railroads. 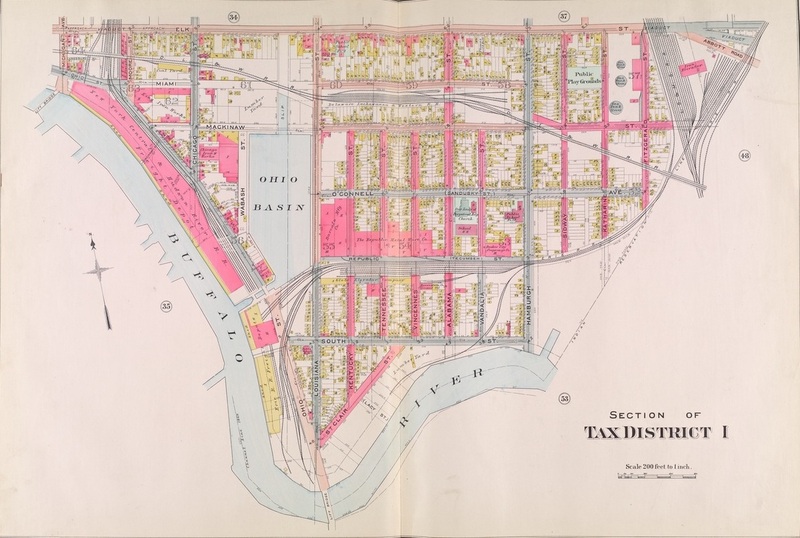 Full 1915 map showing large section of Buffalo's Old First Ward. Click to enlarge! 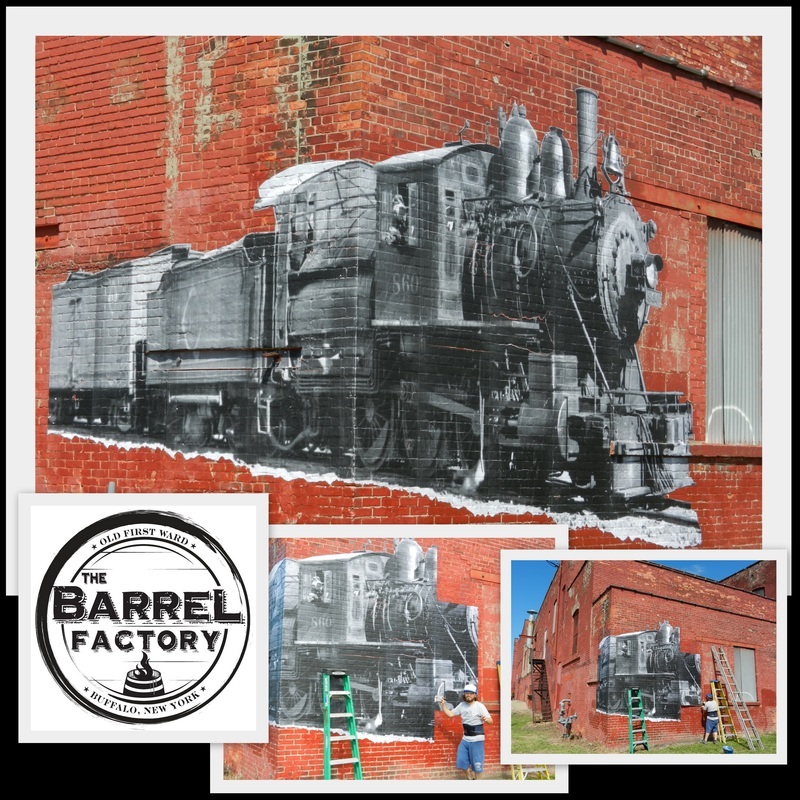 Old pic of workers at The Barrel Factory! 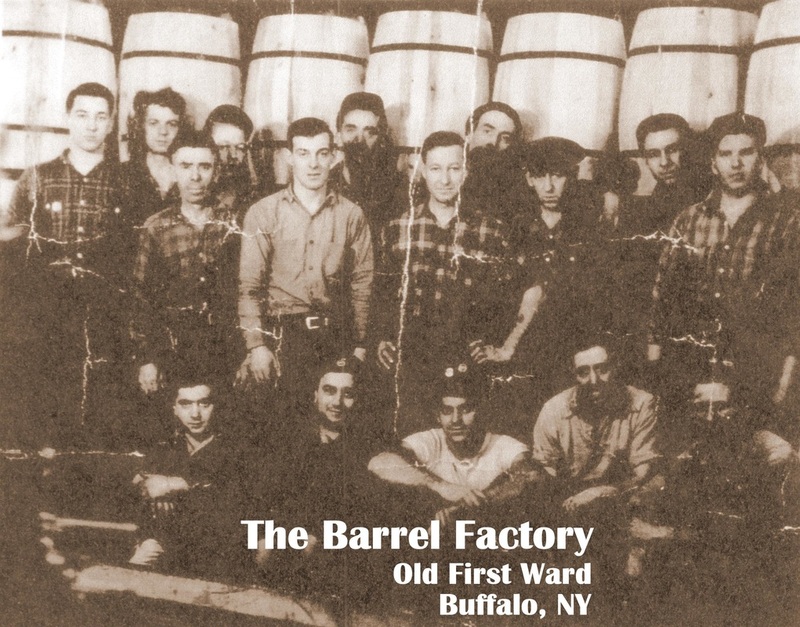 OLD PIC of workers at The Barrel Factory, Old First Ward, Buffalo, NY! Photo courtesy of Nancy Putney. Thank you very much, Nancy! ​"Many of the men went daily to McCarthy's (Gene McCarthy's) for lunch/dinner." W.G. 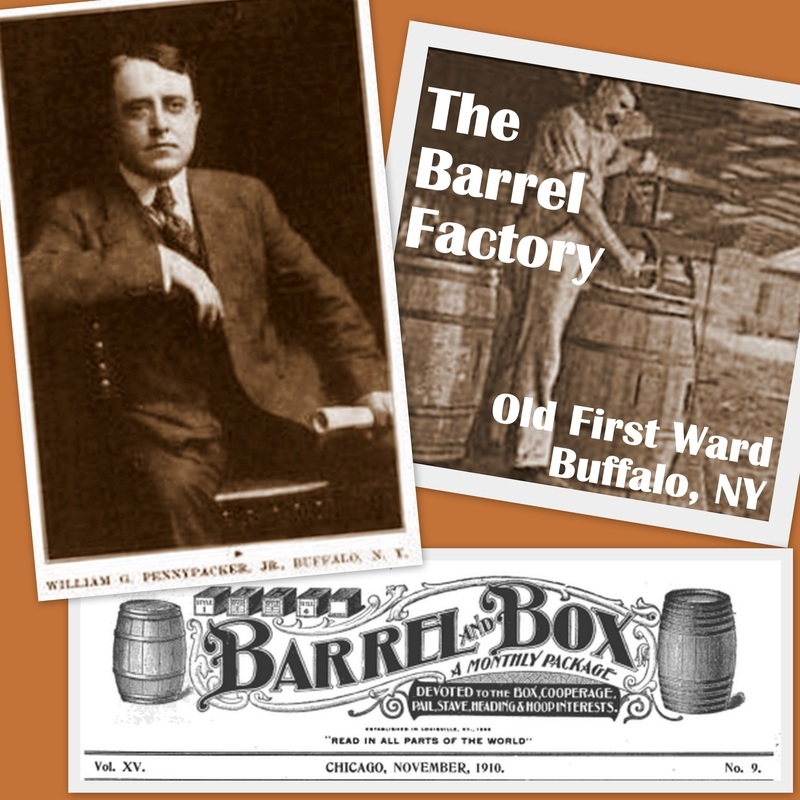 Penneypacker of the Quaker City Cooperage Co., better-known as The Barrel Factory, from the Nov. 1910 edition of "Barrel and Box", a national trade publication! From National Cooper's Journal, Nov. 1908. 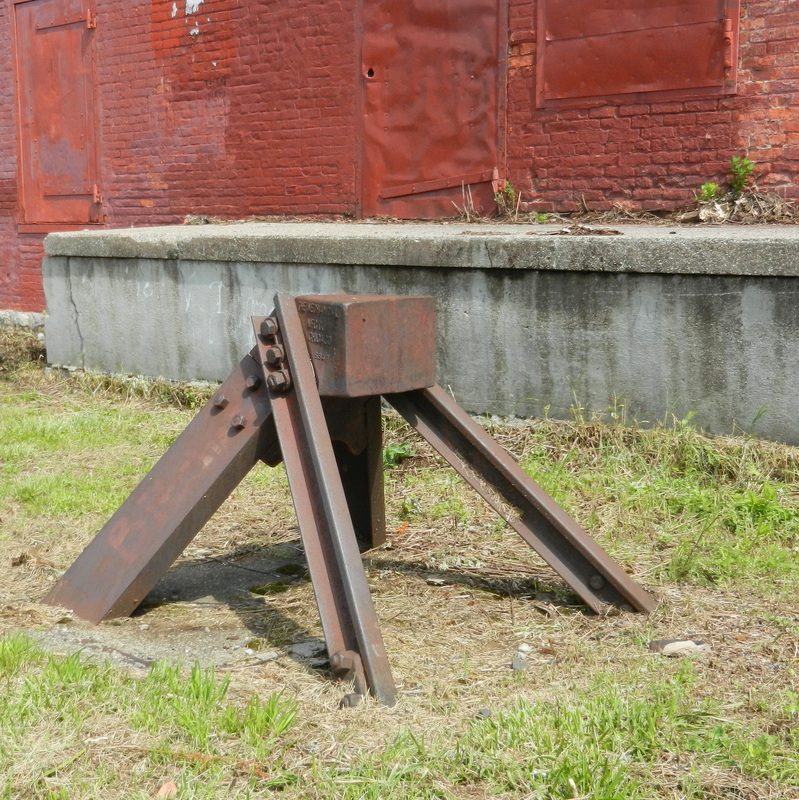 Old railroad bumper post on the Republic St. side of The Barrel Factory, Old First Ward, Buffalo, NY! 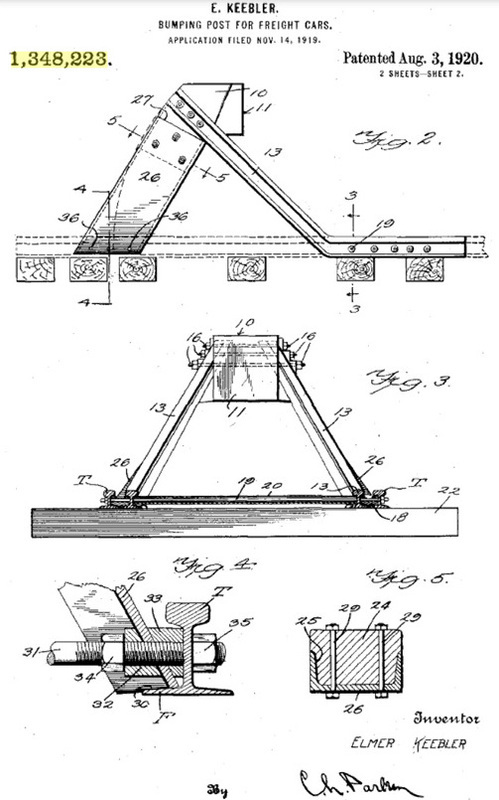 Patented in 1920 & manufactured by the Mechanical Mfg. Company, it replaced an older model. Pics below. 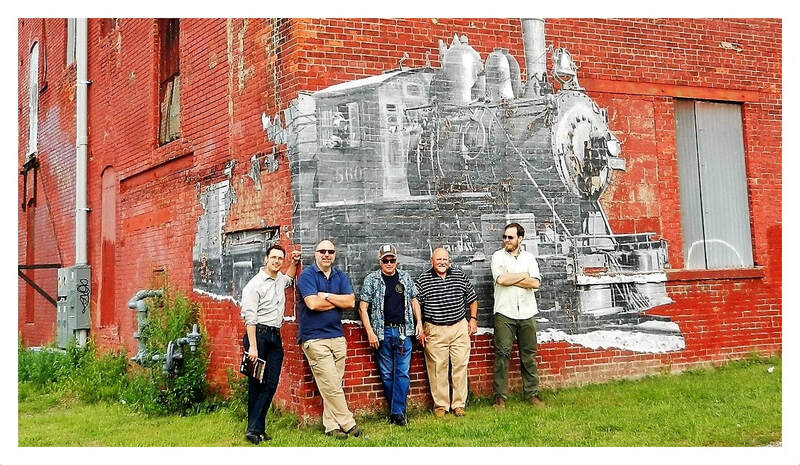 Erie RR steam locomotive temporary mural on The Barrel Factory by Old First Ward artist Chris Kameck! 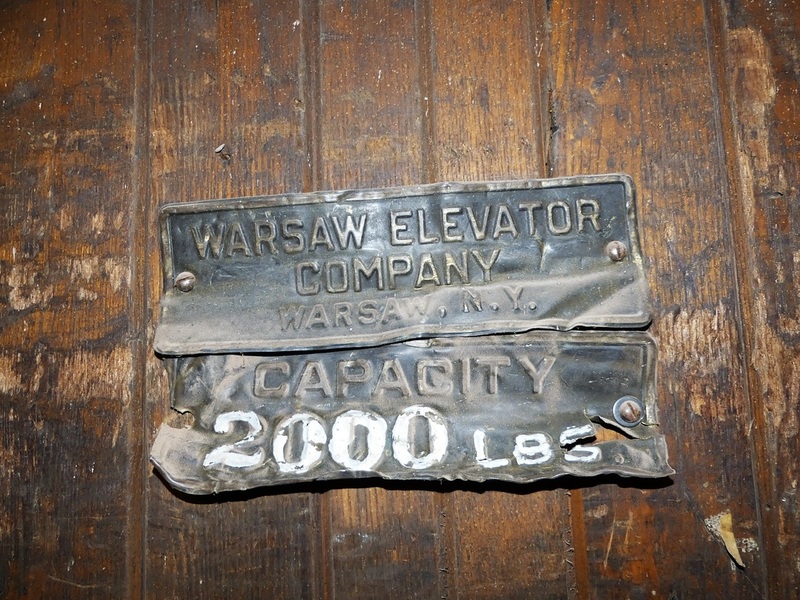 The circa 1903 Warsaw freight elevator is being re-furbished. 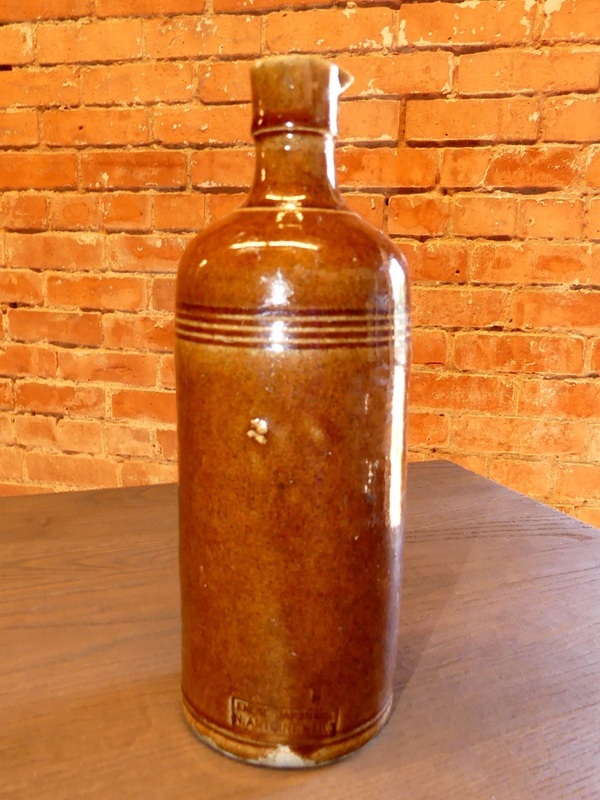 Unearthed outside The Barrel Factory, circa 1840-1870 ink jar probably traveled to Buffalo on the Erie Canal! 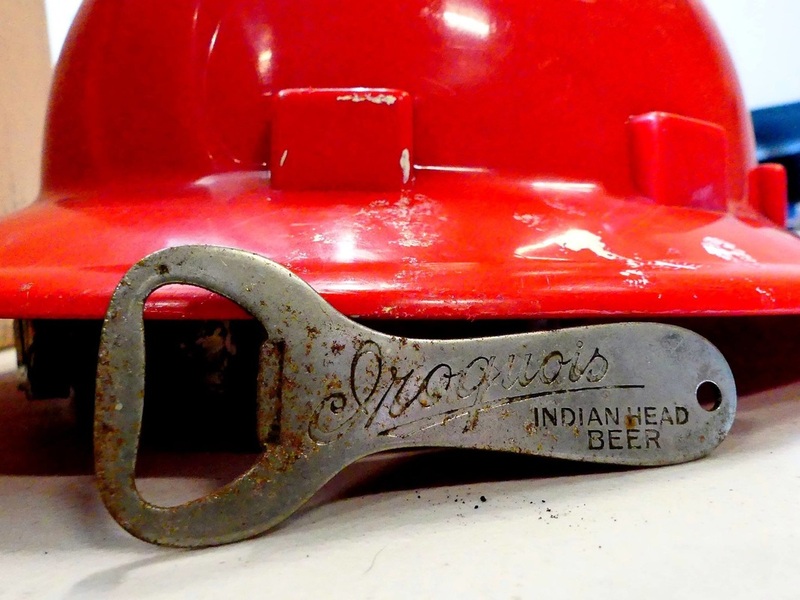 Iroquois Beer bottle opener found inside the building! 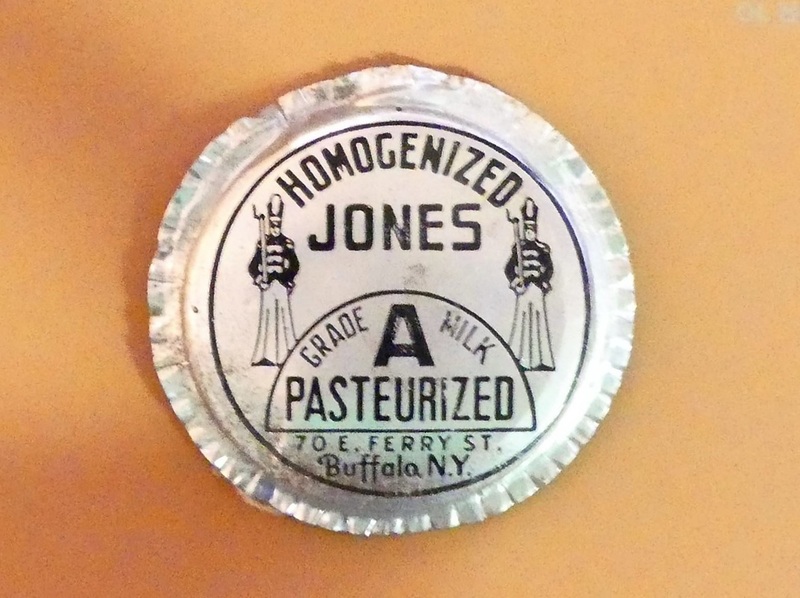 Half pint milk bottle cap found!